A perennial from a basal rosette with yellow flowers and a puff-ball seedhead. 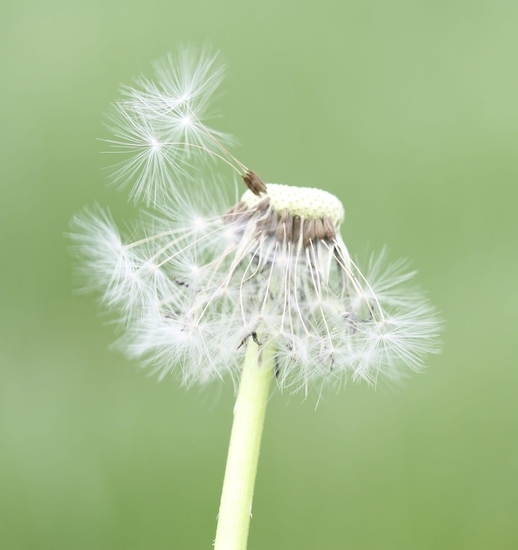 Dandelion is one of the most common and problematic weeds of turfgrass and lawns throughout the United States. 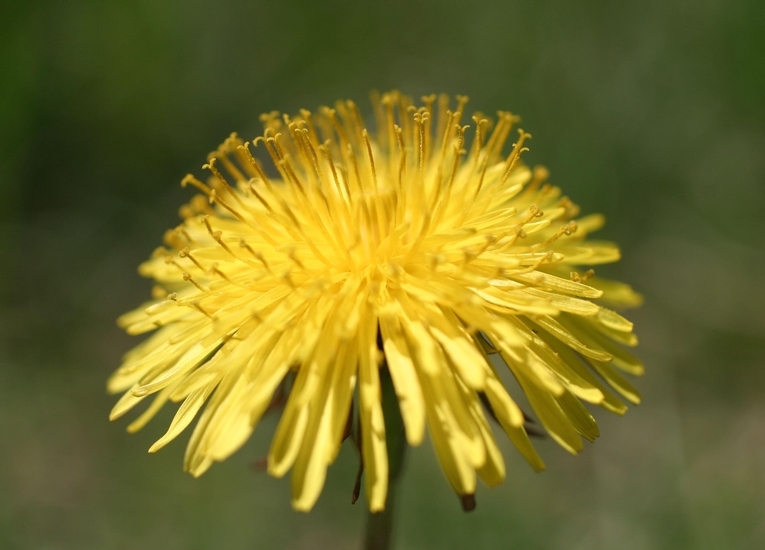 Dandelion also occurs as a weed of container ornamentals, landscapes, nurseries, orchards, and occasionally agronomic crops. 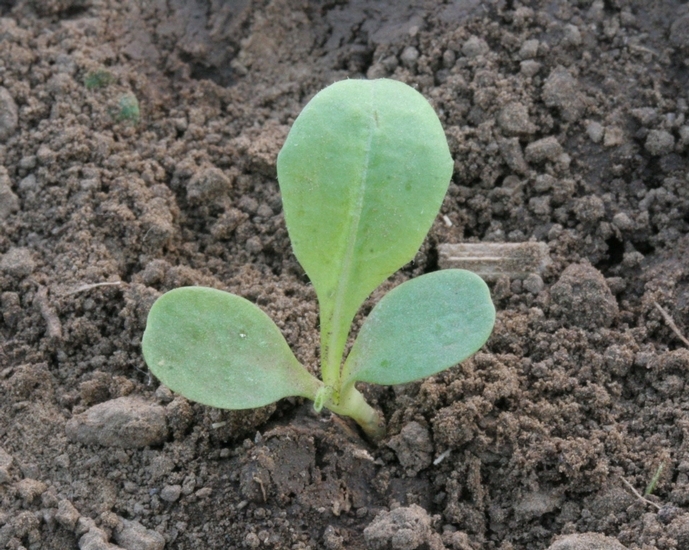 Cotyledons are light-green, smooth, and oval to spatulate in shape. Young leaves form a basal rosette and are also oval to spatulate in shape, 2 to 6 inches in length. Margins are noticeably wavy, especially on older leaves. All leaves are basal, ranging from 2 to 16 inches in length depending on the environment. Usually, leaves are more in the range of 2 to 8 inches in length. Leaves are oblong in outline, sometimes sparsely hairy, deeply indented with lobes that point toward the center of the rosette. Erect, hollow flowering stems (scapes) occur that are approximately 2 to 6 inches in height. 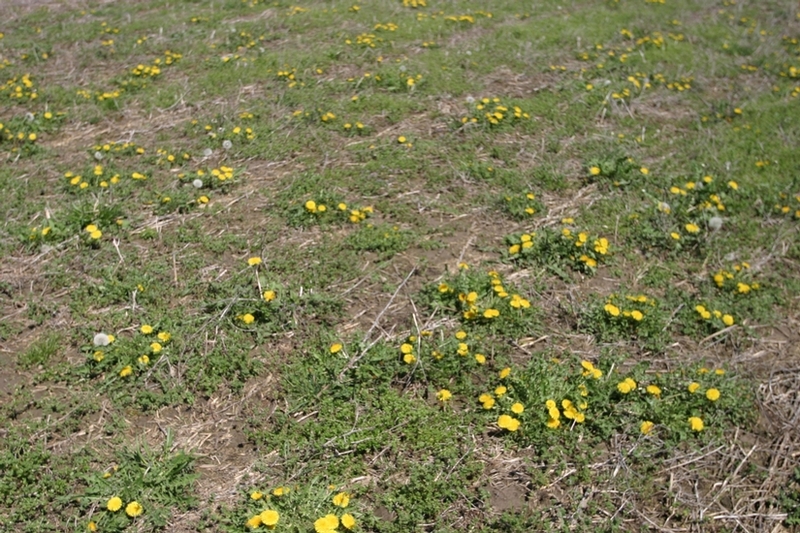 Large, bright yellow in color, approximately 1 1/4 to 2 inches in diameter. Flowers are solitary on the end of unbranched, leafless, hollow stalks (scape) that are 2 to 6 inches tall. An achene that is brown, 3-5 mm long, with a feathery pappus attached that aids in wind dispersal of seed. 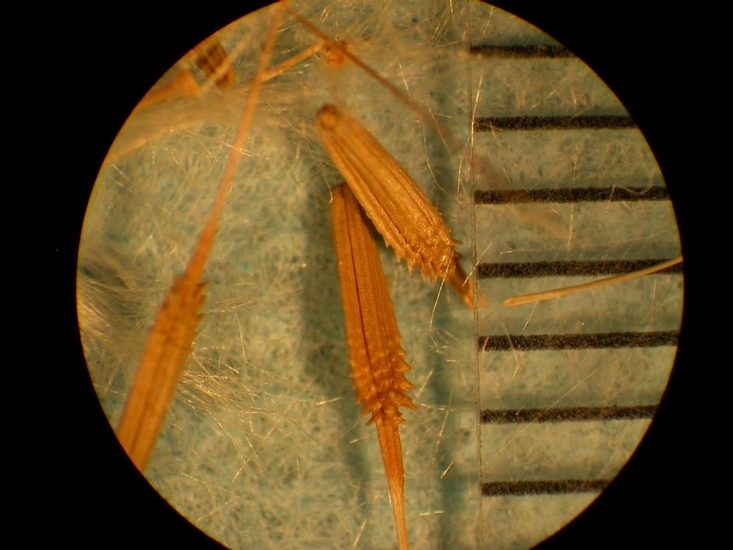 Collectively, the achenes form a white seedhead that resembles a puff-ball. Deep taproot up to 1/2 inch in diameter. 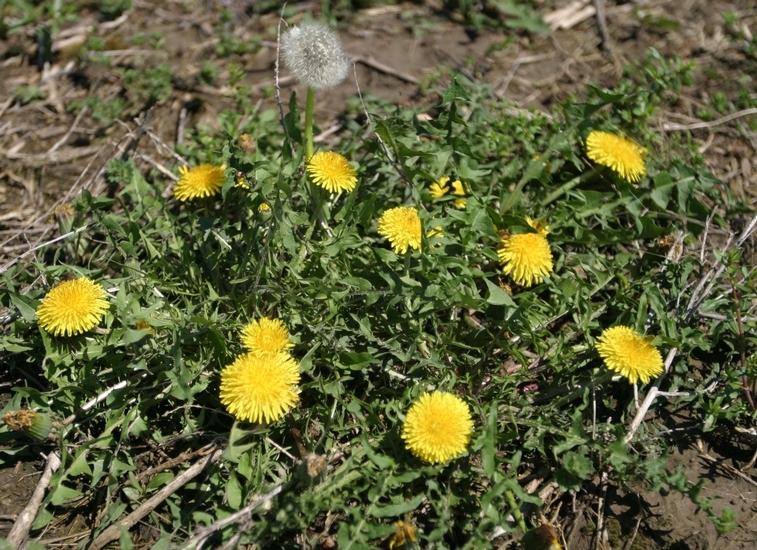 The rosette growth habit, lobed leaves, yellow flowers, and characteristic puff-ball seedheads are all features that help in the identification of dandelion. When in the rosette stage, Chicory (Cichorium intybus) and dandelion resemble one another. 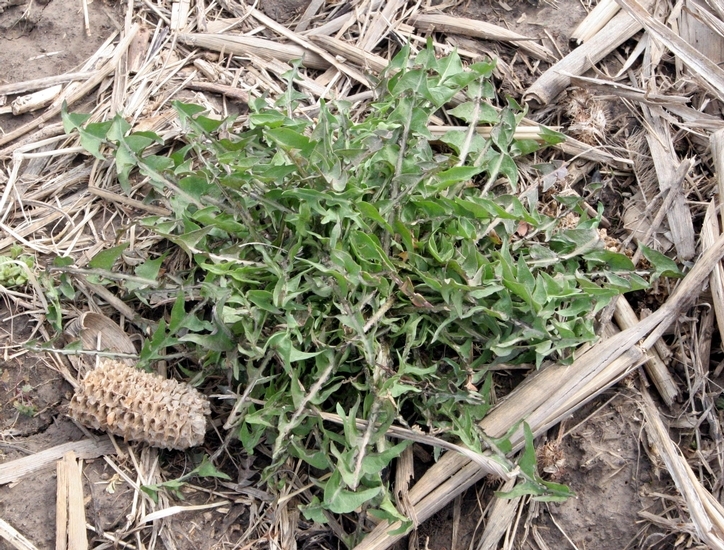 However, the lobes of chicory may point either toward the center of the rosette or away from the center of the rosette. Additionally, chicory has blue flowers and a flowering stem with alternately arranged leaves. 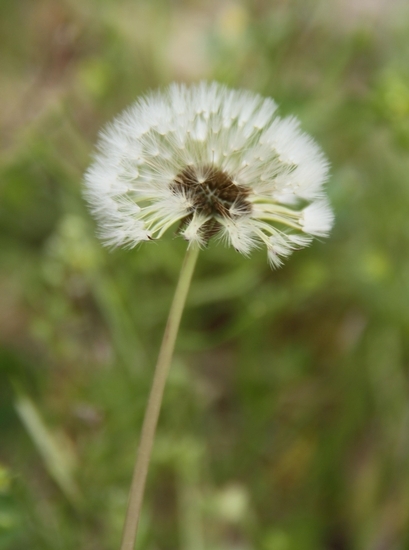 White Flowered Mazus (Mazus japonicus) also resembles dandelion in the rosette stage of growth, however the leaves of this weed are not as severely lobed as those of dandelion.